HIGHLANDERS coach Madinda Ndlovu has said that Zimbabwe has better players than South Africa, tipping FC Platinum to get the better of Orlando Pirates when the two sides clash in a Caf Champions League group stage encounter at Barbourfields Stadium on Saturday. In an interview with NewsDaySport, Ndlovu concluded that while South African football is better organised, resourced and has world-class infrastructure, Zimbabwe possesses skilled players. FC Platinum take on the Buccaneers in their first group stage match where they have also been drawn against African champions Esperance of Tunisia and Horoya AC of Guinea. Ndlovu said the Mapeza-coached side is well equipped to cause an upset come Saturday. "We are two nations that play different types of football. If you look at the professionalism part of it, South Africa is far ahead of us, but when you talk of individual skills and players, we are far ahead of them," the former Warriors coached opined. "They play a more organised football and they have got the resources, but Norman (Mapeza) has worked so hard to put his team to where it is right now. He has to work on character on the day. If FC Platinum have a strong character, they can upset Orlando Pirates. They can beat them," he said. Ndlovu said although the South Africans have a more professional game than Zimbabwe, there is nothing special about teams that come from the Absa Premier Soccer League. "South African teams are not superhuman. I played against Kaizer Chiefs when I was at Township Rollers in Botswana and we nearly beat them. But the fact is that the South Africans are more organised and their players are better prepared than ours." The Bosso mentor said Highlanders supporters will give FC Platinum the backing they need on Saturday. 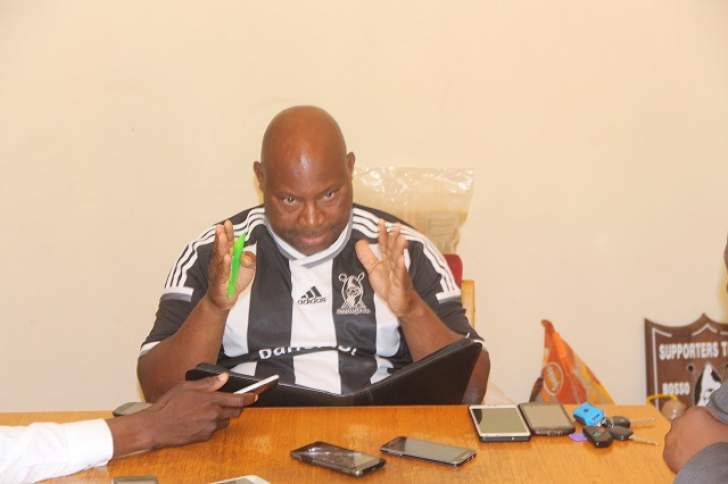 "Highlanders fans will be more behind FC Platinum than Pirates despite the fact that we wear the same colours with the South African side," Ndlovu added. FC Platinum will come up against Zimbabwean players that include Marshall Munetsi and Kudakwashe Mahachi although the latter has been struggling to earn a place in the team since he joined them. The platinum miners will be looking to make the most out of their home matches to give themselves better chances of making it to the quarter-finals of Africa's premier club tournament. After lifting the Castle Lager Premier Soccer League championship for the second time in a row, FC Platinum went into the Africa safari and drew 1-all with CNaPS Sport of Madagascar away in the preliminary round of the Caf Champions League before beating them 1-0 at Mandava to sail through to the first round of the tournament. Then then drew 1-1 with Congolese side AS Otoho away and played a goalless draw at Mandava to proceed to the group stages and Caf has said they will play their group stages matches either at Barbourfields or National Sports Stadium and the Zvishavane-based side has opted for Bulawayo.